Artists: Mighty Moe // Dionne Reid // Dubweiser // Jammin // Rossi Riko // Metamore // Shemzy // Marley + Live band and special guests! Entry: FREE!!! Register for your free ticket here! 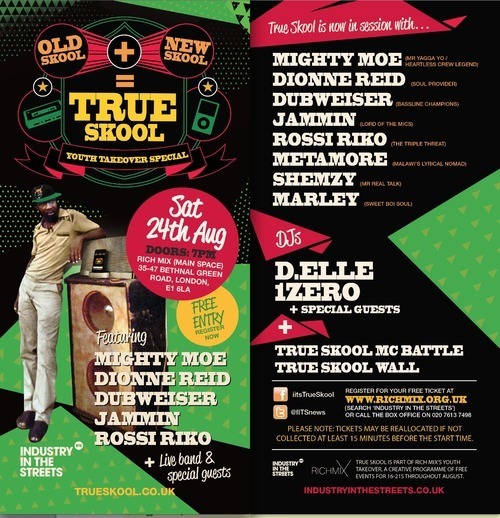 The True Skool soundsystem is set to roll through RichMix on carnival weekend with a legendary line up of old skool and new skool artists, live band vibes, top selectors, battle MCs, fresh visuals and much more!